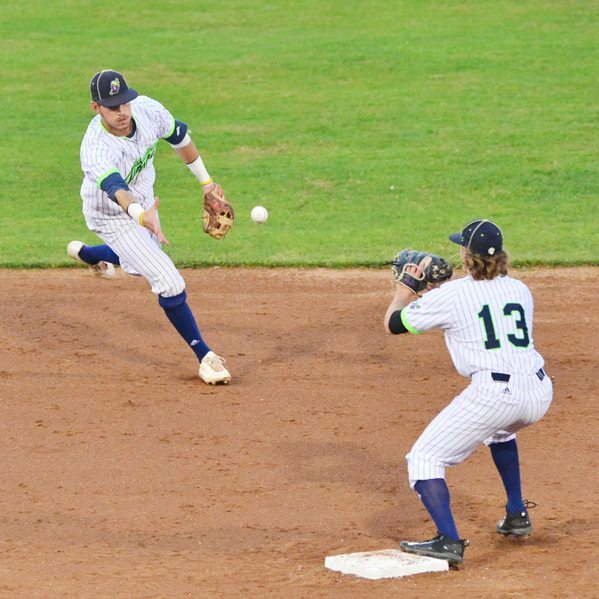 The Jamestown Jammers certainly didn’t need a miracle Monday night. But they sure couldn’t turn down a blessing. 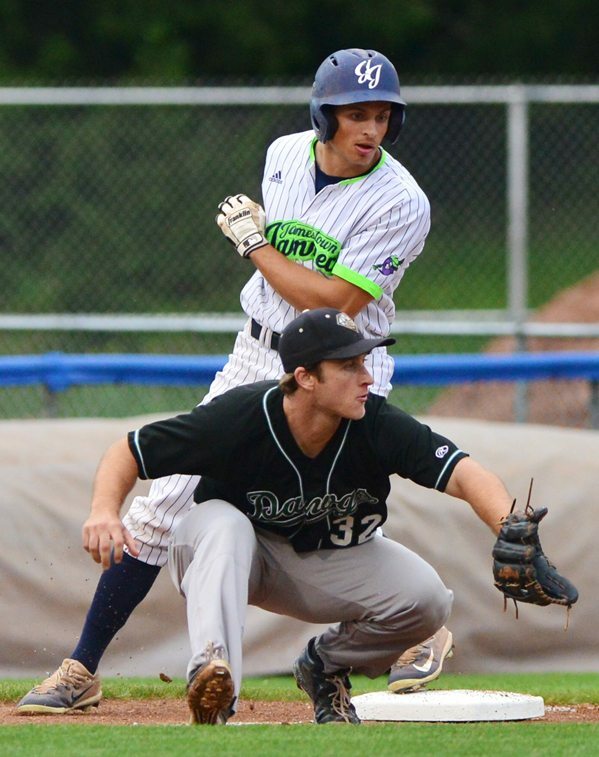 Cory Blessing (Ohio University) threw 6.1 innings of three-hit baseball, striking out four while not walking a batter as Jamestown beat Mohawk Valley, 5-2, in Game 2 of the Perfect Game Collegiate Baseball League Championship Series at Diethrick Park. The victory sets up a winner-take-all Game 3 at 7:05 tonight back at the stadium on Falconer Street. 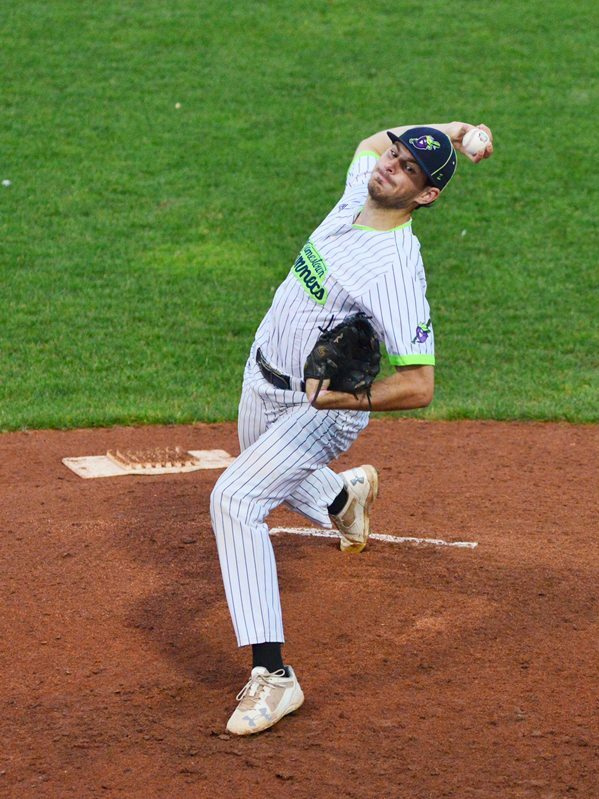 The Jammers will send four-game winner Bradley Griggs (University of Texas-San Antonio) to the mound while the DiamondDawgs will counter with five-game winner Joe DeSarro. 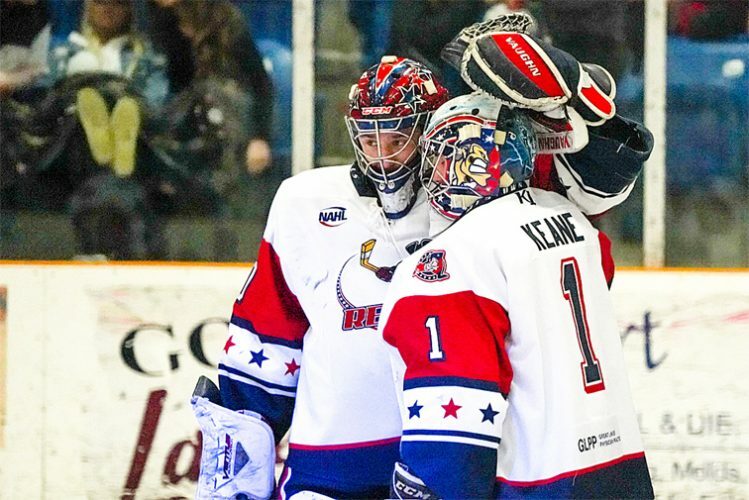 “I couldn’t think of a better guy to give the ball to in Game 3 with a chance to win a championship series,” Barone said. While Blessing was getting the job done on the mound, leadoff hitter John Conti was driving the offense. The soon-to-be Canisius College senior went 3 for 4 and was a home run shy of the cycle. Conti scored two runs, drove in a run and also stole a base. 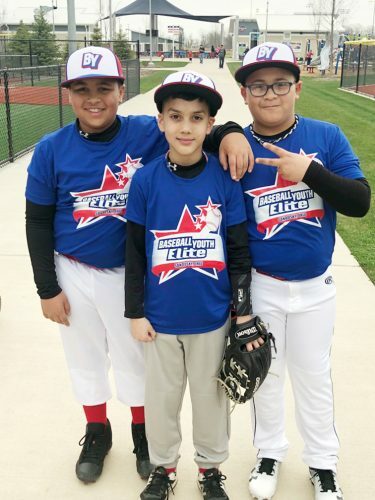 After finishing sixth in the league with a .345 average during the regular season, the right fielder is now hitting a league-best .545 in five playoff games with four doubles and a triple to go along with six runs scored, six RBIs and five stolen bases. 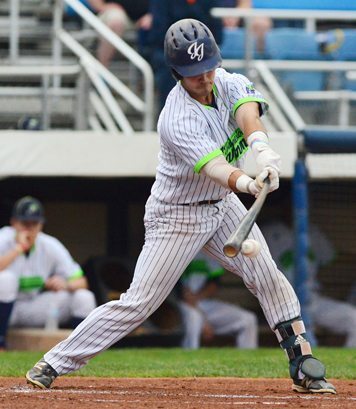 Clay Koniencki’s two-out home run off Blessing gave Mohawk Valley a 1-0 lead in the top of the first inning before the Jammers answered quickly in the bottom half of the frame. Conti led off with a triple and scored when the DiamondDawgs weren’t able to turn an inning-ending double play on Ben Brookover’s groundout to second base. Jamestown took the lead for good with a three-run third inning and again Conti was in the middle of the action. The Niagara Falls native turned on a one-out Doug Molnar offering and dove it to right field for a standup double. With two outs, Chris Conley (Canisius) hit an RBI single ahead of a Brookover (UTSA) walk. Valentine (Texas State University) then hit a 1-0 pitch to the wall in left-center field for a two-run triple that made it 4-1 in favor of the West Division champs. 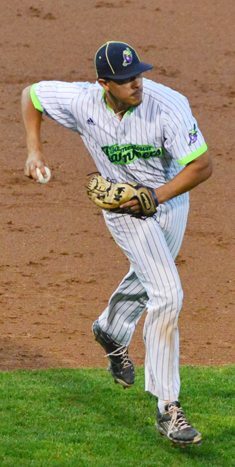 The Jammers plated their final run in the fourth as Jimmy Standohar (Mercyhurst University) led off with a double to chase Molnar from the game. With two outs, Conti’s RBI single made it 5-1. That was plenty of support for Blessing, who allowed just one hit over his next five innings before running into trouble in the top of the seventh. The DiamondDawgs’ Ben Porter led off the inning with a double and Blessing hit A.J. Pollack with a pitch. After a sacrifice bunt, Barone turned to Colin Johnston (Monroe Community College), who induced a groundout before Joe Engel’s RBI single made it 5-2. Johnston then got out of the inning with a groundout. The DiamondDawgs threatened again in the top of the eighth. With two outs, Russ Olive doubled and Porter walked to bring the tying run to the plate. After another mound visit from Barone, Johnston got Pollack to ground out to Chris Estrada (UTSA) at third for the final out. “I just told him ‘Hey, they are the ones with the problem right now. They are down three runs and they have to deal with you,'” Barone said. 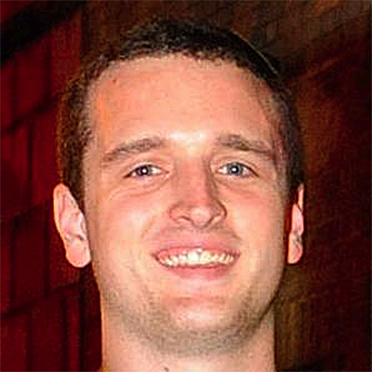 Now the Jammers turn to Griggs with a shot at their first league championship in just their second year of existence. NOTES: Tickets for tonight’s game will be $2. … Conti had three hits and Valentine had two for Jamestown while Olive had a pair of hits for Mohawk Valley. … Porter made an outstanding running catch to steal a sure extra-base hit from Alex O’Donnell (Mercyhurst) in the bottom of the second inning. … Valentine and O’Donnell pulled off a successful double steal in the bottom of the eighth inning, but Valentine was called out after his foot came off the bag after reaching safely.